In accordance with relevant Pharmacovigilance activities and the requirements of the process, all HAROM Solutions staff is recruited on the basis of their adequate qualifications and experience. All new and existing professionals at HAROM Solutions receive initial and continued training in relation to their roles and responsibilities. As per the requirement and assessment of training needs related to the performance of pharmacovigilance tasks, the trainings are conducted taking into account technical progress and development of new pharmacovigilance concepts. 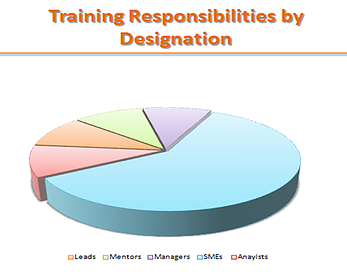 We have a dedicated Training department with a team of Manager, Subject Matter Experts and Asst. SMEs whose responsibility is to ensure through the establishment of a job profile that our professionals have adequate qualifications, experience and training to undertake their assigned pharmacovigilance tasks. Our Training requirements and plans are reviewed biannually through our performance evaluation report. To promote a continuing and independent approach to learning, encouraging initiative and professionalism such that our candidates will be able to comprehend, contribute to and apply advances in pharmacovigilance. To build and improve on technical skills at different levels, including the ability to analyze and perform effectively and independently and be creative. To provide a framework for the acquisition of a comprehensive understanding of pharmacovigilance concepts and technicalities applicable to their own tasks and professional practice. To provide opportunities for the continuing development of transferable skills including communication, case analysis where appropriate, use of information technology, problem solving and working as part of a team.